Get even more living space for your money thanks to the taller and wider design of 4 x 4m. It is the perfect companion for any Summer party, barbecue, camping trip and more. 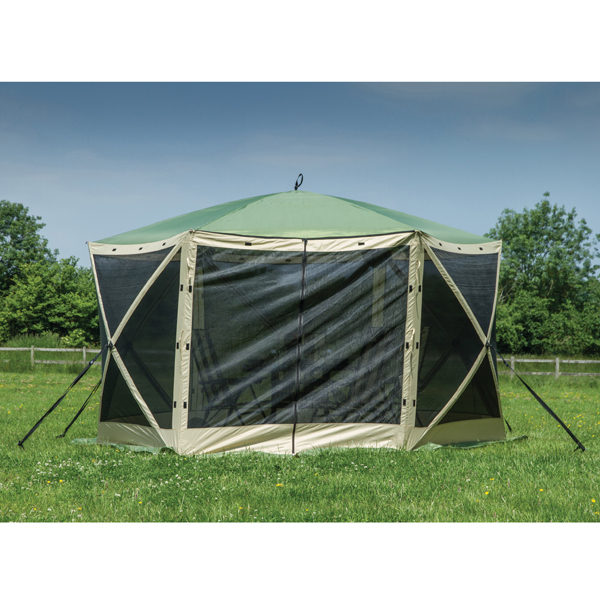 This is the excellent Quest Elite Instant Spring Up Screen House 6XL. This is a multi-use gazebo screen house or event shelter. It is perfect for entertaining in the garden, away at events, or as a covered social area when camping - in fact the uses are almost limitless. Taller and wider providing a huge internal living space large enough for a 6pc patio set.